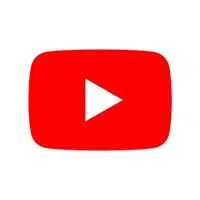 Here are all of the YouTube statistics and facts you will ever want to know including number of users, videos, views, subscriber stats and more. YouTube is a true American success story. It began as the brainchild of Chad Hurley, Steve Chen and Jawed Karim: three PayPal employees that wanted to create a platform where users could post and share video clips. As a startup, YouTube attracted users and funding fairly quickly and was snatched up by the almighty Google roughly a year and a half after it was launched for $1.65 billion. When a social network has over a billion users that spend amazing amounts of time on it daily, there is no shortage of aspects of and facts about YouTube that can be measured and reported. I have been collecting YouTube stats and facts for about 6 years now in this curated collection. Below is a lengthy sampling of what I have put together over the years and if you like what you see, you can purchase the entire downloadable report at the bottom of this post. As always, I will be adding to and updating these stats as often as they are made available. How many people watch YouTube in the US? How many YouTube videos are uploaded every minute? How many videos are uploaded on YouTube every day? What is the most-viewed YouTube video ever? How many people in India watch YouTube? YouTube makes up over half of people’s time watching online video on television.